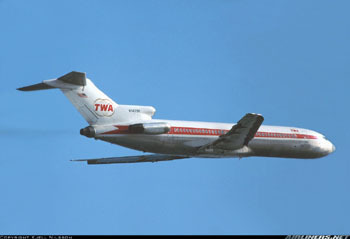 While on descent for landing at Dulles International Airport in Washington, D.C., TWA Flight 514, a Boeing 727-231, impacted terrain about 25 miles from the airport. All 85 passengers and seven crew members were killed, and the aircraft was destroyed. The flight was descending for a VOR/DME approach into Dulles, in instrument meteorological conditions (IMC), and had descended to 1,800 feet approximately 40 miles from the airport. The NTSB determined that the descent to 1,800 feet had occurred prior to the aircraft reaching a point in the approach where a minimum altitude of 1,800 feet would have been safe. The NTSB further determined that the crew's decision to descend was "a result of inadequacies and lack of clarity" in air traffic control procedures and a misunderstanding between pilots and controllers regarding each other's responsibilities during terminal operations and in IMC conditions. However, primary responsibility for the accident was placed on the pilots for having descended to an unsafe altitude.